When it comes filtering, or finding data we are spoilt for choice with -Match, -Like and -Contains. While there is overlap, each conditional operator has a distinctive role in PowerShell scripting. -Contains is best for seeking an exact value. If I want a command to return either True or False, I start with -Contains, whereas, if I want a list of results then I try -Match or -Like. PowerShell uses singular nouns; thus “contains” is a verb, and not a plural noun. A feature of -Contains is that usually returns “True” or “False. If you are looking for a command to return a list of values, then employ -Match or -Like. -Contains can be frustrating because it’s so picky. After a while you realize that this just a design feature, if you don’t like it, try -Match. Note 1: -Contains interprets “Flats” and “Flat” as different, thus returns False; it does not matter that Flat is a subset of Flats. Challenge: Substitute -Match for -Contains. Windows Management Instrumentation (WMI) is one of the hidden treasures of Microsoft’s operating systems. Fortunately, SolarWinds have created a Free WMI Monitor for PowerShell so that you can discover these gems of performance information, and thus improve your PowerShell scripts. Take the guesswork out of which WMI counters to use when scripting the operating system, Active Directory, or Exchange Server. Give this WMI monitor a try – it’s free. -Contains would be my choice of conditional operators for situations where I wanted to test for one particular item in a collection, array or a hashtable. $Collection = "Peter Smith", "Paula Harris", "Joan Evans"
The result would be: True. You need an exact match of the full item. Let us assume we wish to search in a file called links.csv. Furthermore, we can use Import-Csv to read the data so that we can test values with -Contains. See screenshot to the right. $Check = (Import-Csv $File). "Custom channel"
SolarWinds Network Performance Monitor (NPM) will help you discover what’s happening on your network. This utility will also guide you through troubleshooting; the dashboard will indicate whether the root cause is a broken link, faulty equipment or resource overload. What I like best is the way NPM suggests solutions to network problems. Its also has the ability to monitor the health of individual VMware virtual machines. If you are interested in troubleshooting, and creating network maps, then I recommend that you try NPM on a 30-day free trial. 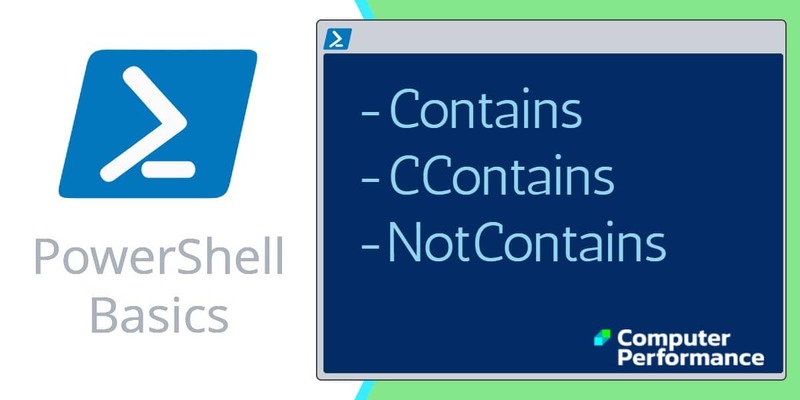 As with PowerShell’s other conditional operators, you can force them to be case sensitivity by preceding the command with a ‘C’; CContains is not a typo! Note 4: The point is that in the spreadsheet the value is clearly ‘LinkTop’, when we force case-sensitivity with CContains, this is not the same as ‘linktop’, hence a False result. The negative -NotContains is not as useful as -NotMatch. However, from what we have already learned the syntax is predictable. Note 5: Remember that with -Contains, and by extension -NotContains, the match has to be exact. There is no ‘Custom channel’ with the name of precisely ‘link’. This Engineer’s Toolset provides a comprehensive console of 50 utilities for troubleshooting computer problems. Guy says it helps me monitor what’s occurring on the network, and each tool teaches me more about how the underlying system operates. There are so many good gadgets; it’s like having free rein of a sweetshop. Thankfully the utilities are displayed logically: monitoring, network discovery, diagnostic, and Cisco tools. Try the SolarWinds Engineer’s Toolset on a 14-day free trial now! When you seek an exact value, then -Contains would be my first choice of conditional operator. -Match or -Like are better suited to scenarios where you only need a partial match, or you need a list of items. Please email me if you have a better example script. Also please report any factual mistakes, grammatical errors or broken links, I will be happy to correct the fault. See the top-rated PowerShell courses on Udemy. 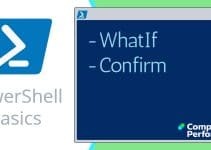 Udemy has many excellent PowerShell courses; whether you’re looking to grasp the basics or supercharge your scripting skills. Try all courses risk-free with Udemy’s 30-day money-back guarantee.